Today I was running on 2 hours of sleep. I woke up at the crack of dawn to go to work. I was extremely tired, but when you’re at work, specifically in retail, you have to smile in the midst of it all! I was cute today but I still felt ehhh…because I was not feeling it today! I was exhausted. Soooooooo after work, I decided to walk into my favorite store(H&M) and I tried on something that would make me feel good!!! Well!! Let’s just say that I found the perfect items! 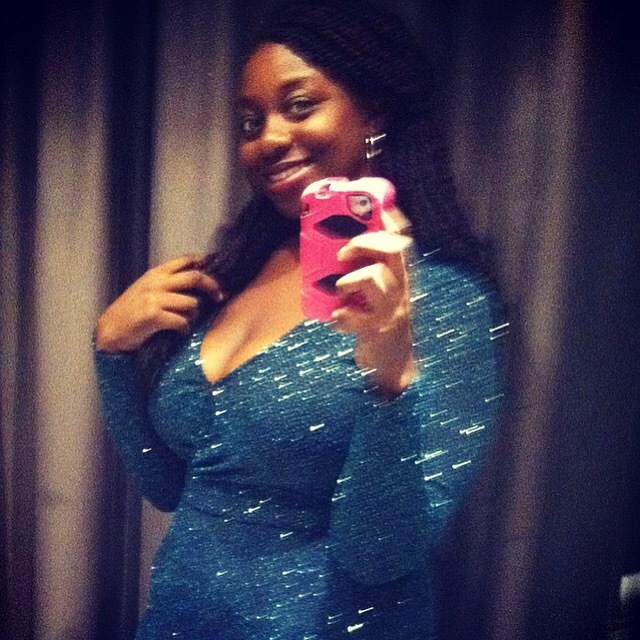 I tried on this two-piece sparkly dress and HONEEEEEEEEY….I felt like a million bucks! I felt like I was the show stopper! I felt so sparkly and so beautiful! Every girl deserves to sparkle and shine!! We go through so much! Every once in a while, we need to be reminded of how royal we are! We are queens and no matter what we feel we are Royal…..but just in case you are feeling “ehhhh”, I suggest that you walk into your favorite store and try on something that will make you feel beautiful!! I did just that and it definitely made my day! I am ENERGIZED and AWAKE now!! Haha!